Home » Bookbarn News » 25 Years Anniversary. Assembly waiting for celebrations to commence. Barbara Manly telling tales of set-up. Tree planted by original Committee members. 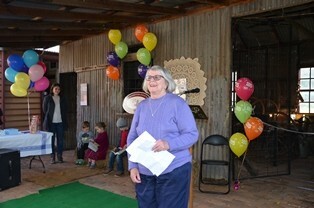 Barbara Manly cutting the ribbon. 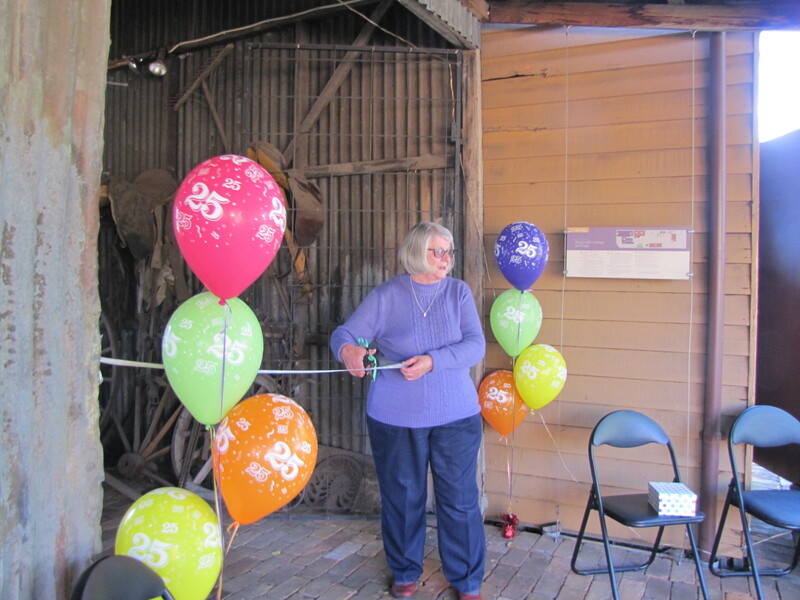 Late last month, on Sunday, 21 May 2017, we celebrated 25 years of our volunteers keeping the memory of the Blacksmith alive at our site in Bacchus Marsh. 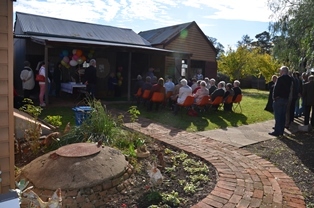 A very enjoyable afternoon tea followed our special guest, Barbara Manly, a direct descendant of Thomas Manly, one of the blacksmiths who, in 1850, continued the business set up by Vere Quaile. 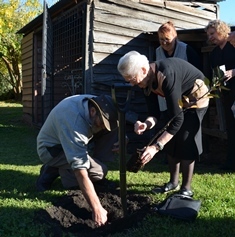 Members of the original Committee of Management were on hand to plant a tree to commemorate the occasion. 2018 Calendar of Events, The Blacksmith’s Cottage. Copyright ©2018 Cottage and Forge Advisory Committee Inc.